Antonio Tabucchi en los Cursos de Verano de El Escorial, 2008. Antonio Tabucchi's book The Flying Creatures of Fra Angelico was available from LibraryThing Early Reviewers. Antonio Tabucchi's book Pereira Maintains was available from LibraryThing Early Reviewers. 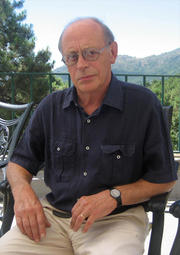 Antonio Tabucchi is currently considered a "single author." If one or more works are by a distinct, homonymous authors, go ahead and split the author. Antonio Tabucchi is composed of 17 names. You can examine and separate out names.